IT might be unusual to see a book review in a breeding column, but this is no ordinary book. In a few pages more than the number of years that the race has been run, the noted Michael Church has produced one of the most valuable tomes to hit the bookshelves this year. Limited to just 650 copies, the publication is the history of the Oaks at Epsom, a race that pre-dates the Derby by a year and was influential in having the Epsom centrepiece upped in trip from a mile to its now classic trip of a mile and half. 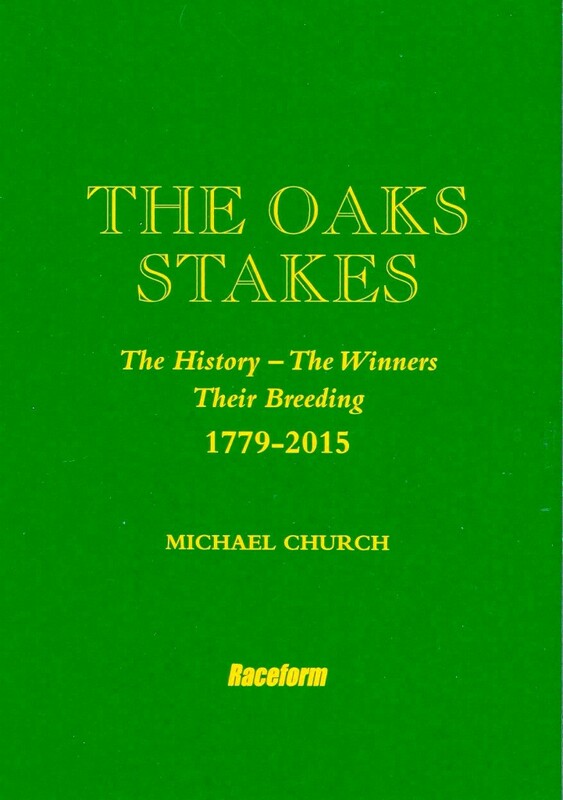 Up to the minute and including details of the 2015 winner Qualify, The Oaks Stakes recounts the history, the details and the breeding of the 238 winners (the result was a dead-heat on one occasion) since the first race was run in 1779. There are extended essays on the major influences to have triumphed in the classic, such as Pretty Polly, together with wonderful pen pictures of the major people associated with the winners of the race. There is an eclectic listing of records, many suitable for the most ardent anoraks, and a most valuable index. Michael Church is not one of the most revered racing historians for nothing, and attention to such detail can be assumed. From Bridget in 1779 to Qualify this year, we have seen some exceptional racemares land the Oaks, and many have then gone on to establish their own histories as the progenitors of some of the best racehorses in the intervening almost two and half centuries. Priced at £70, this is not a cheap book, but then how do you put a value on a book that is priceless? This will solve your Christmas, birthday or any special occasion shopping in one fell swoop. With just 650 copies available it will sell out, so best to get your order in now. Every serious breeder or student of breeding should have a copy.